After the recent steep declines on the Bulgarian Stock Exchange Profit.bg decided to take a look at the stock of the companies which performed IPOs in 2007 and to see how the price has changed since their bousre debut. A comparison like that can tell us whether participating in last year's IPOs was really worth it, and is to a large extent giving us an impression of what we can expect from these stocks with the current negative trend on BSE. First of all, we have to make it clear that the different IPOs took place during different time of the year. We also have to take into account that SOFIX has dropped some 4.5% in the past 1 year. Also, most IPOs were largely oversubscribed, which means investors would not be able to achieve the return they sought. This is, however, compensated by the fact that, since investment intermediaries are not requiring proof of funds, most investors are filing large subscriptions, without actually having the necessary cash. The stock of Trace Group Hold has gained the most, even though shares have been traded for a shorter period of time compared to the other new issues. Trace Group Hold managed to add some 83.66% since bourse floating. 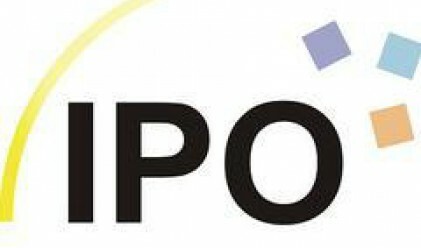 However, bearing in mind that the IPO was oversubscribed 1,480 times, such return is not surprising, and in fact may be qualified as very low, in terms of the new stock's share in investors' portfolios. Five out of the eleven stocks are currently traded at prices higher than their IPO price. The second best performer is Corporate Commercial Bank which has added 59.03% over the IPO price. This is a very good result, especially in comparison with another bank that recently debuted on the stock exchange and whose shares are traded below the IPO price. Another not very successful debut was that of Zarneni Hrani Bulgaria. Shares are traded at nearly 21% less than the IPO price, which makes it the worst performer among the 2007 IPOs. This may be attributed to a large extent to the “unfavorable time” in which the company floated shares on BSE. Hydroizomat is also near the bottom of the chart. Shares lost 16.48% since the IPO.